Name in order the Eight Stages of Shooting (Shahô-Hassetsu ) and give a brief explanation for each one. Name the «Basic Postures» (4) and the «Basic Movements» (8). Explain what you know about the «Bow Holding Posture» (Toriyumi no Shisei ). Write on the stage of «Ashibumi «. 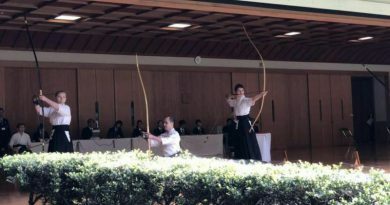 What was your motivation (what brought you) to start Kyudo? What do you want to learn through Kyudo? What are you glad to have learnt through Kyudo? What do you pay attention to in order to prevent accidents? Name the basic postures (4) and give a brief explanation for each one. Name the basic movements (8) and give a brief explanation for each one. Write on the importance of «Dôzukuri «. Name the eight stages of shooting (Shahô-Hassetsu ) and explain the importance of «Zanshin». What do you pay attention to in «Yugamae «. 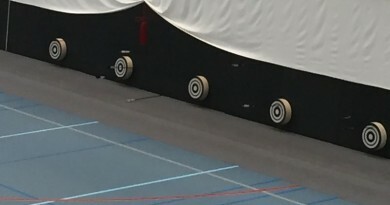 Write your impression on Kyudo training. What is the goal of your kyudo practice? 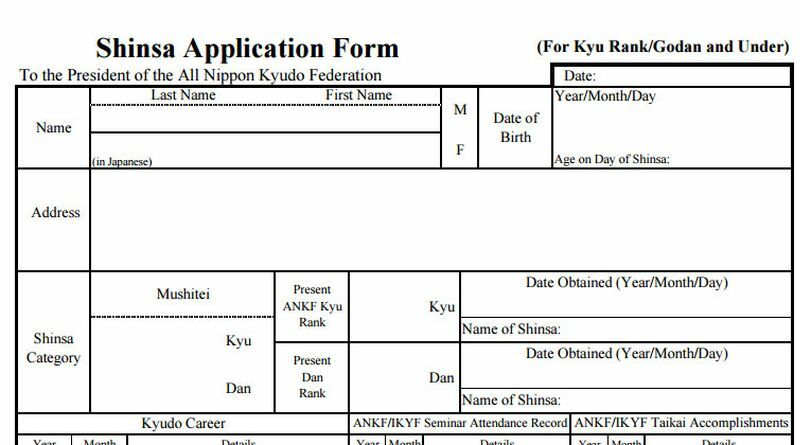 Write on the differences between Kyudo and the other sports. What is your objective in taking an exam. What should one pay attention to when performing the basic movements? What should one pay attention to when doing Daisan ? Write on the benefits of Makiwara training. Write on the importance of «Sanjû-Jûmonji «. Mention the «three principles for dealing with errors (Shitsu )» and explain the method for dealing with the «Breaking of the String». What do you pay attention to in your daily practice? How do you put your Kyudo training into practice in your actual life? How do you prepare yourself before taking an exam? What are the difficulties that you encounter in your daily practice? What do you pay attention to in your daily practice to ensure the safety of your comrades? Explain how the Daisan position influences the shooting. Write on the «Gojû-Jûmonji «. List the «Fundamentals of the Basic Movements (8)» and give a brief explanation for each one. Name the «Fundamentals of Shooting Principle and Shooting Skill» (5) and give a brief explanation for each one. Write on «Tsumeai and Nobiai «. Write on the necessary attitude in the performance of shooting. Write on how to prepare oneself before an exam and on the importance of taking an exam. 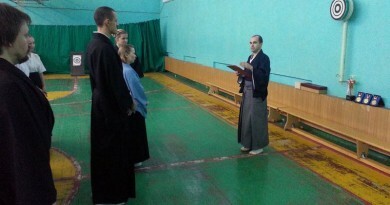 What is the main message of the «Raiki-Shagi «? What is the main message of the «Shahô-kun «? What should one pay attention to in order to prevent accidents when teaching younger students. 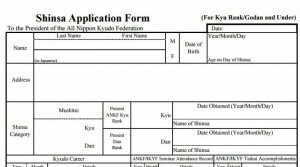 Write on the importance of the Fundamental Form (Kihontai). Write on the relationship between the movements and the breathing (Ikiai). Write on «Tsumeai and Nobiai » performed in «Kai «. Explain what the «basic body Form» is. Explain the meaning of «Hiku-Yazuka Hikanu-Yazuka ni Tada-Yazuka «. Explain what the «Fundamentals of the Shooting Principle and Shooting Skill» are. Write on the «Five Torsos» (Go-Dô). Write on the supreme goal of Kyudo. Write on the «everyday mind» (Heijôshin ). Write on «Truth, Goodness and Beauty» (Shin, Zen, Bi ). Write on the purpose of Kyudo training. Explain the meaning of the expression «Kyudo is Life» (Sha Soku Jinsei ) by giving some examples from your own daily life. What are the important points for Kaizoe ? What should one pay attention to in order to prevent accidents when teaching beginners?